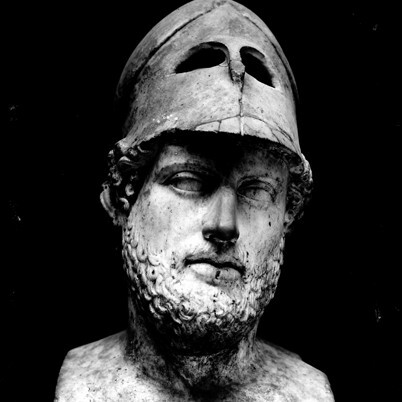 Pericles began honoring the achievements of the nation’s fighting men. An unsentimental historian might wonder what those achievements were worth. Athens, like other city-states, seemed prone to go to war with its neighbors for no particular reason and no particular advantage. Athens was more successful than most and was able to build up its own little empire. Then, it was brought low by plague, treachery, and other empire builders; all the sturm and drang seemed to get it nowhere. Then, Pericles makes equally dubious remarks about Athens itself. These, too, might have come from the mouth of America’s 43rd president, George W. Bush, if someone would write them out for him in short words. This little insight should put to rest forever the idea of Athens as a center of serious thinking. Pericles was a better humbugger than Bush, but the flatteries were the same. Athens’ government was better than its rivals, he said. Its people were more courageous and better organized. Even its artists flourished in Athens as nowhere else. With such men as this, Athens couldn’t lose. “You may reflect that it was by courage, sense of duty and a keen feeling of honor in action that men were enabled to win all this…” he continues, on how the empire was put together. 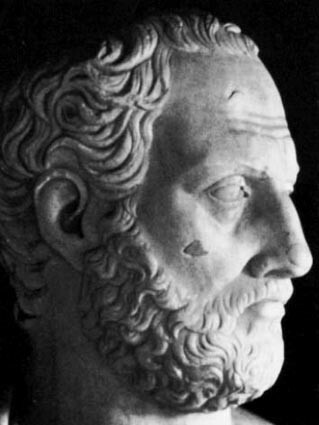 Pericles had urged Athenians to war, just like Bush. But the war did not go well. Twice, the Spartans invaded and laid waste to Athenian lands. A year later, the same people who praised Pericles were at his throat. The great orator held them off – urging them to stay the course. Yes, he pointed out, your lands and houses might have been ruined, but this is a fight for something much more – liberty! “You cannot decline the burdens of empire and still expect to share its honors,” he says. The Athenians did stay the course; it led them to total defeat. Pericles died of plague. Pericles: What Thanks Did the Next Generation Owe? 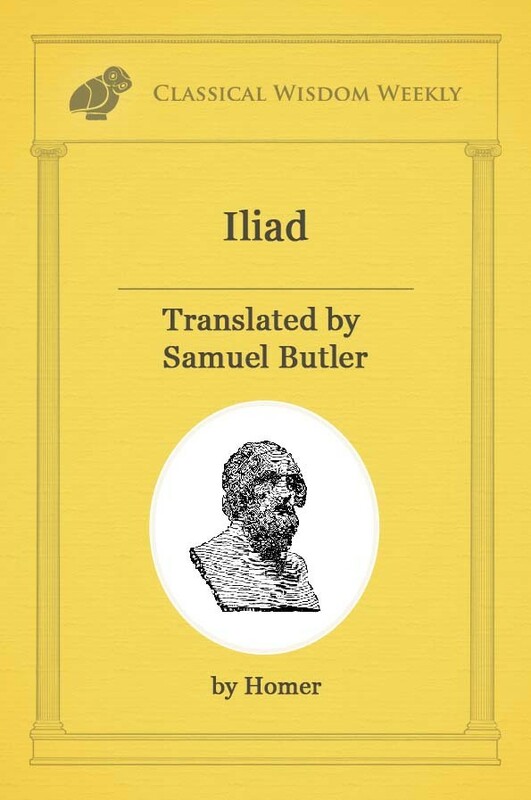 We know what thanks Pericles’ generation owed its predecessors. But what thanks did the next generation of Athenians owe to them? Athens was destroyed. Their parents’ empire building had cost them dearly: their wealth, their independence, even the empire itself. Twenty-five centuries later, Thanksgiving Days went by without much notice. A few people probably pause before turning to the turkey to thank their dead ancestors. The dead men had worked, and saved, so that their descendants would have life…and have it more abundantly, just like the ‘remote ancestors,’ Pericles recalled. But did anyone stop to wonder about the generation to follow? Each year, America’s dollar declines. Each year, Americans own less of their own national debt… less of their own houses… and less of their own future earnings. Little by little the patrimony of future voters slips away, replaced by obligations. So great has the debt load become that it cannot be settled in a single generation – even if that generation were willing. Instead, the blessings that one generation enjoys are passed onto the next generation as a curse. A child born in America in 1900 came into the world naked and free of debt. Today, he pops into the world and is immediately swaddled in chains of debts. All his life he will have to pay them – debts from bonuses paid to government employees in 1986… from bombs dropped in 2003… from boondoggles built in 1995… checks written in 1974… promises made to old people in 2002… the expenses of hurricanes in 2005… and so on. The poor child will have to drag around with him the entire pathetic history of America’s financial decline. ‘Stay the course,’ said Bernanke in 2005. ‘We cannot stop now,’ added Bush. “There is more work to be done,” chimes Obama. “Damned b**tards,” the next generation is likely to grumble. That’s why my grandchildren will be educated enough to emigrate out of the US ! You seem to be saying that there are some people who spend us into poverty by spending money on wars without having the wherewithal (or the guts) to pay for them at the time. I keep wondering: how much of the economic crisis (and the current chasm of financial differences in the USA)–along with other issues (cheating bankers, greedy homebuyers, poorly designing carmakers, etc. )–how much is because of those unpaid-for wars of Iraq and Afghanistan?